A good compass calibration is important to ensure a safe, controlled flight. Follow the tips in this guide to determine when and how to calibrate the compass on your DJI Phantom. 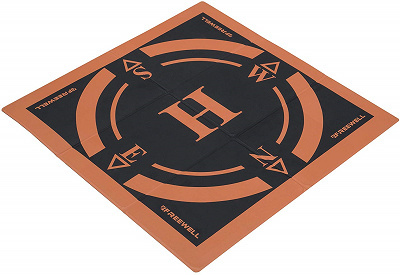 Why should the Phantom compass be calibrated? The only purpose of compass calibration is to measure the components of the aircraft’s magnetic field so that they can be subtracted from the total measured magnetic field. Rotating the three-axis magnetometers allows the aircraft’s flight controller to separate the surrounding magnetic field from the magnetic field of the aircraft itself. 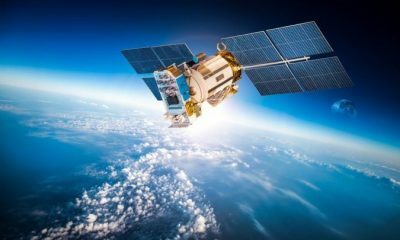 It’s able to separate them since the aircraft’s magnetic field remains constant (in the frame of reference of the magnetometers) while the surrounding magnetic field rotates. No amount of measuring will allow the aircraft’s flight controller to determine the deviation or declination at a location (since it has no idea where true north is located). Declination is determined from a global declination model within the firmware. There is no way to compensate for deviation since it’s unmeasurable. That explains why taking off in areas of significant magnetic deviation will lead to unstable flight. The Phantom can only detect when the compass is providing extremely poor (implausible) data. This typically occurs if you place it near a strong magnetic field. It will flash red and yellow lights and the Phantom will indicate a compass error in the app. Note: The lack of a compass error does NOT mean your compass is working and calibrated properly. You should always do these checks before taking off to ensure the compass is not being negatively affected by some type of external magnetic force. You can view the current compass interference in the “Main Controller Settings” –> “Advanced Settings” –> “Sensors” section of DJI GO. The colored bars should be in the green (Excellent) range when the Phantom is in a location that is away from magnetic influences. If the bars are in the red (Poor) range or close to it (or the “Mod” value is not between 1,300 and 1,600 if using DJI GO 3), move the Phantom to a different location and check again. If the compass interference is still in the red (Poor) range or close to it, the compass could need calibrated or it could be magnetized/damaged. Note: A good compass interference value does NOT mean your compass is working and calibrated properly. When should the Phantom compass be calibrated? You do not need to calibrate before every flight and in some cases you definitely should not calibrate. That doesn’t mean you shouldn’t ever bother doing it. It only takes one time for it to go very wrong. Note: The ideal place to calibrate is a wide open location that is free of anything metallic within a 20 ft radius. Keep away from drainage pipes, irrigation systems, rocks, sidewalks (or other concrete structures), etc. The Phantom is near concrete, buildings, and/or hidden or overhead power lines/pipes/etc. You’re indoors, on a paved surface, on a stone surface, on the beach, on a boat, on a balcony, near a car, near speakers, etc. Remove all metal from your person that could potentially be held near the Phantom while you’re calibrating (e.g. watch or rings). Find a location on grass or dirt and not on concrete or asphalt (unless you know the concrete or asphalt does not contain rebar). 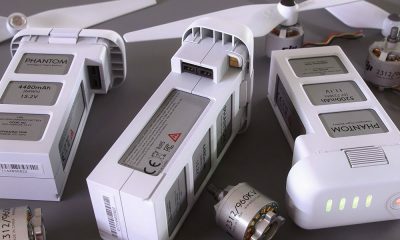 Power up your Phantom and any attached accessories (e.g. GPS tracker). Wait until your Phantom is ready to fly. Click the “Calibrate” button in the “Aircaft Status” section of DJI GO. If the “Calibrate” button does not appear there, then you can calibrate the compass from the “Advanced Settings” section of DJI GO. Confirm the rear Phantom arm lights are solid yellow. Pick up the Phantom and turn it smoothly and steadily a full 360 degrees (or a little bit more) until the rear Phantom arm lights turn solid green. Note: While it’s okay to turn the Phantom in your hands, it’s easier to hold the Phantom steady and turn your body in a circle like this. Point the front of the Phantom straight down and turn it smoothly and steadily a full 360 degrees (or a little bit more) until the rear Phantom arms start flashing green. Note: Don’t be concerned if the Phantom gimbal reacts poorly to being face down. Continue to smoothly and steadily turn the Phantom. If for any reason you do not complete any of the above steps smoothly and evenly, restart the process. 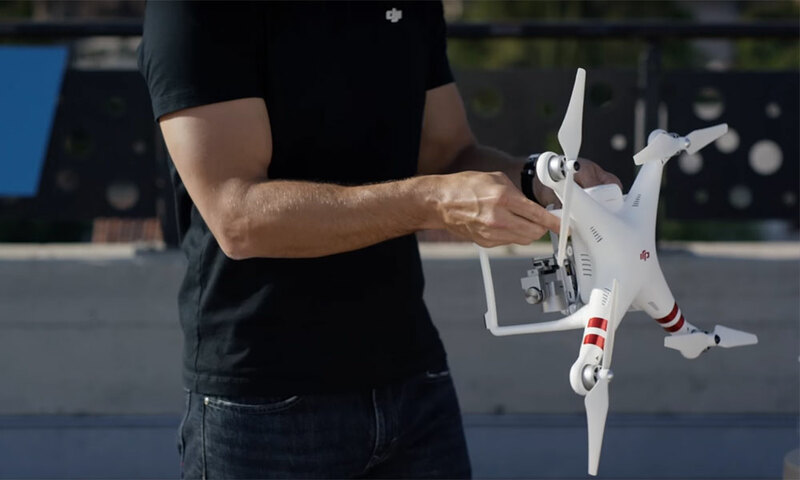 DJI Care Refresh is a service plan that covers accidental damage to DJI drones. 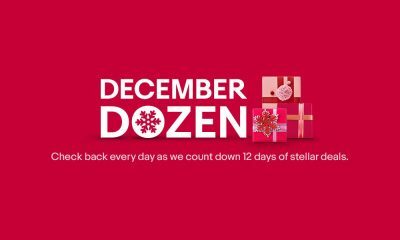 It’s valid for up to 12 months from the activation date and will cover up to two drone replacements (after paying a small fee). When you request a replacement, you’ll need to send your drone to DJI and they will send you a new or refurbished drone in its place. Is DJI Care Refresh worth it? 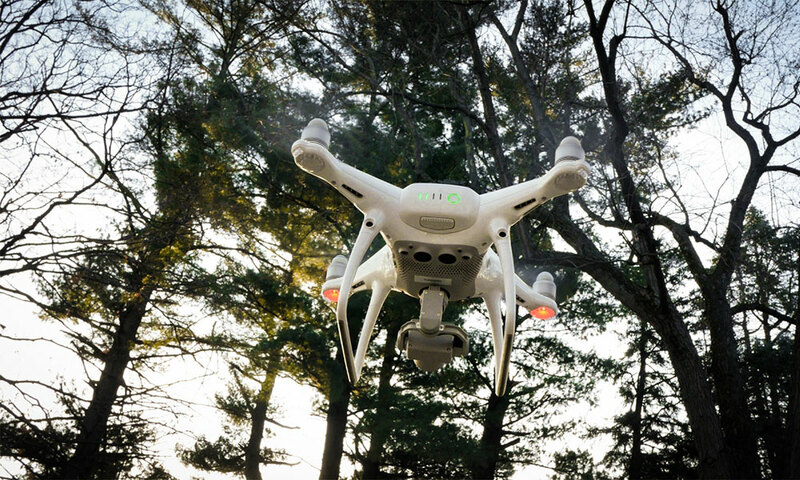 The DJI Warranty only covers damage caused by product defects (things out of your control). With the addition of a DJI Care Refresh policy, you will also be covered if you accidentally damage your drone (the most common type of damage). A DJI Care Refresh policy will greatly reduce the costs you need to pay out of your own pocket due to accidental damage. 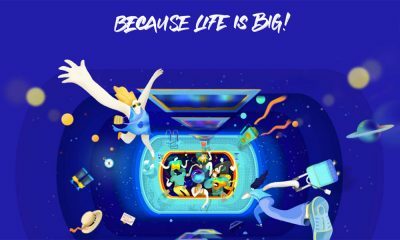 Which DJI drones can be covered by DJI Care Refresh? Note: The main differences between DJI Care and DJI Care Refresh is that (1) DJI Care offers an unlimited number of repairs during 1 year policy period; and (2) there is no fee when requesting a replacement. 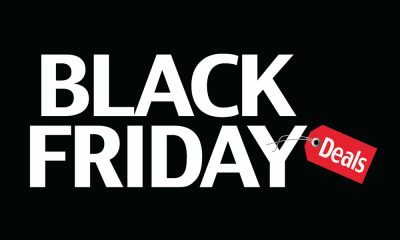 The policy will expire after the repair cost has exceeded the policy coverage amount (between $599 – $3,399 depending on which drone you own). Which parts of the drone does DJI Care Refresh cover? Note: The remote controller is not covered by any DJI Care Refresh policy. What doesn’t DJI Care Refresh cover? See a full list of exclusions in the DJI Care Refresh TOS or DJI Care TOS. 1) Submit a repair request from the Online Repair Request page to explain why you’re requesting a replacement. 2) DJI will email you a free shipping label so you can ship the requested items to them. 3) DJI will send you an email as your drone goes through each step of the replacement process. You can also check the repair progress on the Repair Progress page. Note: DJI will transfer your DJI Care Refresh policy to your replacement drone since it will have a different serial number. If you buy your drone directly from the DJI Store, you’ll see the option to add DJI Care Refresh during the checkout process. When purchased together with your drone, DJI will automatically activate your DJI Care Refresh policy two days after your drone has been shipped. Note: When you buy DJI Care Refresh, make sure you have the location in the DJI Store set to the country where you want to have your drone serviced. For example, you cannot buy a DJI Care Refresh policy for the US and use it in Europe. DJI will make you ship your drone to the US to be serviced. You can purchase DJI Care Refresh from the DJI Store, here on Amazon, or from other authorized DJI dealers. 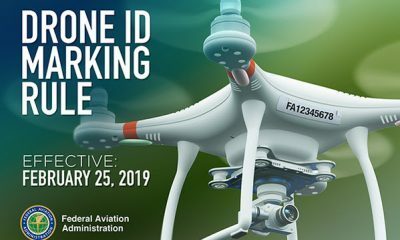 After receiving your DJI Care Refresh activation code, you can bind it to your drone by entering the activation code on the DJI Care Activation page. After activating your drone in DJI GO, you’ll have 48 hours to buy and/or activate your DJI Care Refresh policy. After 48 hours, you’ll need to submit a video to DJI to show your drone is in working order before DJI will allow you to buy a DJI Care Refresh policy and/or bind DJI Care Refresh to your drone. 1) Create a video like this to show your drone is in working order (or follow these steps). It’ll be easiest to record this video if someone else is able to operate the camera while you go through the required steps. 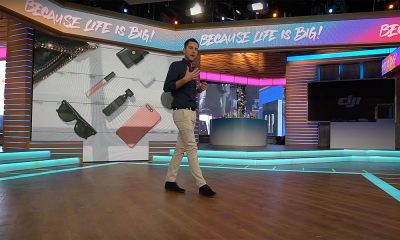 If you must record the video yourself, set your camera/phone on a tripod so you’re able to keep it steady and pointed in the required direction while you’re performing any steps where you’re not able to hold the camera. 2) Create an account at YouTube and upload your video. It’s okay to upload it as a private video. 3) Go here, tick the “I have read the DJI instructions…” box, click the “Submit” button, and complete the form to submit your video to DJI. 4) Wait for DJI to email you with the results of your video verification. 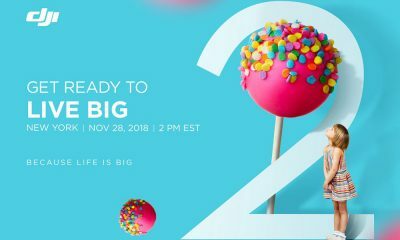 Can DJI Care Refresh be renewed? 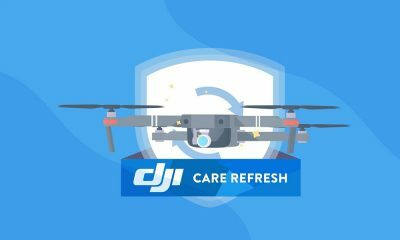 DJI Care Refresh expires after one year or after two replacements have been requested. Up until the point where your DJI Care Refresh policy expires, you can extend it for another year by purchasing DJI Care Refresh +. With the purchase of DJI Care Refresh +, you can extend the DJI Warranty for one more year and add one more replacement to your DJI Care Refresh policy. Can DJI Care Refresh be purchased for a used/refurbished DJI drone? 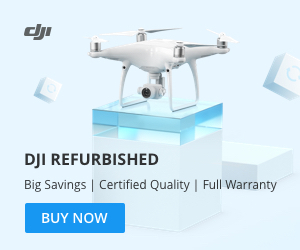 You can buy DJI Care Refresh for a used or refurbished drone as long as a DJI Care Refresh policy has not been purchased for that drone in the past. And if the previous owner purchased a DJI Care Refresh policy, you’ll be able to use the remainder of the policy (if it hasn’t already expired). When the Mavic 2 Pro and Mavic 2 Zoom drones were released in August, the Precision Landing feature was not included. 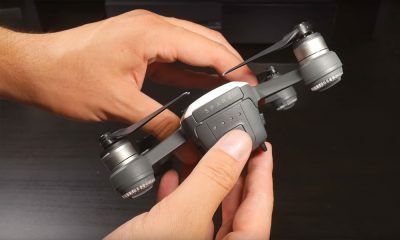 Many people who upgraded from other DJI drone models were upset that this feature was not carried over to the Mavic 2 and a long debate started over in this thread in the DJI forum. 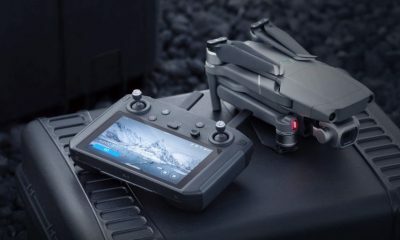 DJI eventually gave in and decided to add Precision Landing in the latest Mavic 2 Pro and Mavic 2 Zoom firmware release. In order to use Precision Landing on the Mavic 2, you’ll need to install firmware version 1.00.02.00 (or higher). Follow these instructions to update the firmware using DJI GO or the DJI Assistant 2 application. You should also install the current version of DJI GO 4 from the app store on your mobile device. Neither of these settings are displayed in DJI GO when flying the Mavic 2. The takeoff point is automatically recorded each time you take off. All you need to do is ensure you take off properly and are flying in conditions where the Precision Landing feature can be used. The Mavic will not be able to record the takeoff point if the ground is not sufficiently lit. That means you’ll need to fly during the day or in a location that has bright lighting (like a baseball stadium). Note: The lights on the bottom of the Mavic are not bright enough to illuminate the ground when flying at night. If you rely solely on those lights for illuminating the landing area, the Mavic will likely land in a random location that is within a 10 foot circle of the takeoff point. 2) Choose a takeoff spot that has distinctive features. 3) Make sure the terrain does not change after taking off. When the Mavic returns home to land, it’ll attempt to match up the previously recorded terrain to the current terrain. Any significant changes in the terrain could reduce the accuracy of the landing. 4) Wait for the home point to be set. If the Mavic has a good GPS signal, the home point should be automatically marked after the motors have been started. 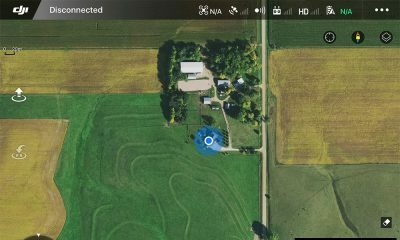 Check the map in DJI GO to ensure the “H” symbol is marked in the correct location. 5) Ascend straight up when taking off. When taking off, it’s important to ascend straight up above the home point for at least 23 feet (7 meters) before moving the Mavic in any direction horizontally. 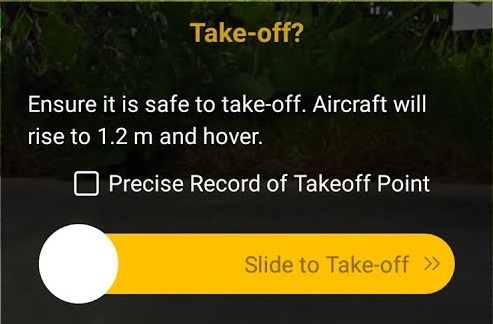 That will allow the Mavic to properly record the takeoff location. 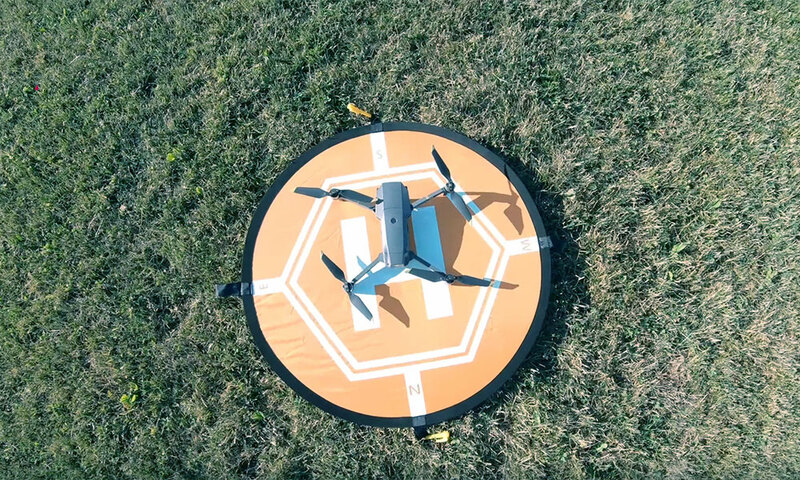 There is no need to hover in place after the Mavic has ascended to at least 23 feet (the takeoff point has already been recorded at this point). Note: The speed at which you ascend (slow or fast) will not affect the accuracy of the landing. You can even take off in Sport mode. Precision Landing is only used when Return To Home (RTH) is initiated and the Mavic automatically returns home and lands. That can occur if either you manually initiate RTH by holding the RTH button on the remote controller (until the remote controller starts beeping) or the Mavic automatically returns home due to a low battery or lost remote controller signal. After the Mavic returns back to the home point, it will correct its heading (point in the direction it took off) and begin descending. In most cases, the Mavic will be too high in the air for the downward sensors to detect the ground below. Until the downward sensors are within range of the ground, the Mavic will likely not be descending directly over the takeoff spot. 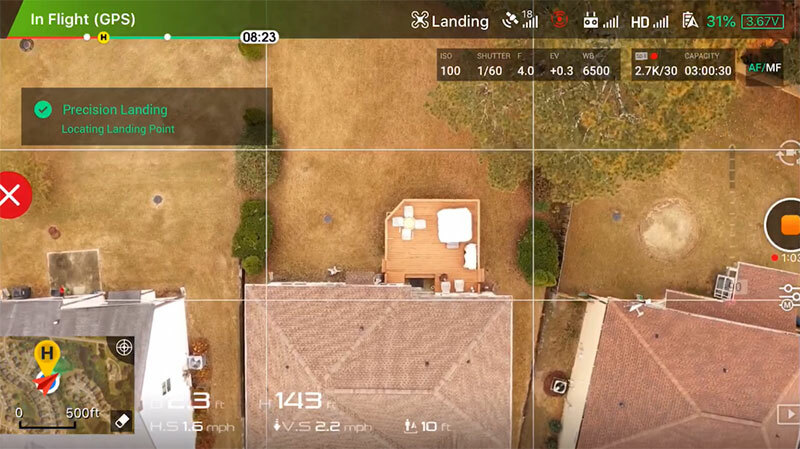 As you watch the Mavic descend, a Locating Landing Point message will pop up on the left side of DJI GO (like in the screenshot below) and you’ll see the Mavic correct its position as needed. It will do further corrections (if necessary) when it gets even closer to the ground. And if all works as designed, it should end up landing within about 6 inches of the takeoff spot. In some cases, the Mavic might not be able to precisely locate the takeoff point when landing. When that occurs, it could end up landing as far as about 10 feet away from the home point. If you notice that’s about to happen and that location is not a safe landing spot, you can cancel the auto landing by quickly pressing and releasing the RTH (or pause) button on the remote controller. At that point, the Mavic will hover in the air and wait for you to manually finish landing. Note: It’s best to cancel RTH when the landing is not going as expected. Don’t try to counteract the landing procedure by pressing the throttle up or attempt to steer the Mavic to a different location. Always cancel RTH first so you are able to take full control of the Mavic. 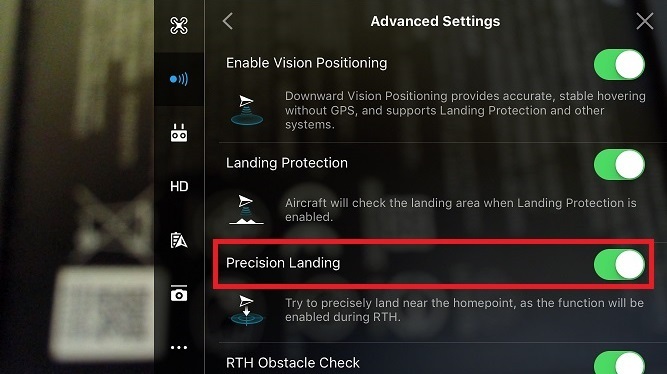 Precision Landing will not work at night even if the downward lights are set to auto on or on when taking off. While those lights are extremely helpful when taking off and landing in poor lighting conditions, they do not produce enough light for the downward sensors to record the takeoff area. A good compass calibration is important to ensure a safe, controlled flight. Follow the tips in this guide to determine when and how to calibrate the compass on your DJI Spark. Why should the Spark compass be calibrated? The Spark can only detect when the compass is providing extremely poor (implausible) data. This typically occurs if you place it near a strong magnetic field. It will flash red and yellow lights and the Spark will indicate a compass error in the app. You can view the current compass interference in the “Main Controller Settings” –> “Advanced Settings” –> “Sensors” section of DJI GO. The colored bars should be in the green (Excellent) range when the Spark is in a location that is away from magnetic influences. If the bars are in the red (Poor) range or close to it, move the Spark to a different location and check again. If the compass interference is still in the red (Poor) range or close to it, the compass could need calibrated or it could be magnetized/damaged. When should the Spark compass be calibrated? The Spark is near concrete, buildings, and/or hidden or overhead power lines/pipes/etc. Remove all metal from your person that could potentially be held near the Spark while you’re calibrating (e.g. watch or rings). Power up your Spark and any attached accessories (e.g. GPS tracker). Wait until your Spark is ready to fly. Confirm the rear Spark arm lights are solid yellow. Pick up the Spark and turn it smoothly and steadily a full 360 degrees (or a little bit more) until the rear Spark arm lights turn solid green. Note: While it’s okay to turn the Spark in your hands, it’s easier to hold the Spark steady and turn your body in a circle like this. Point the front of the Spark straight down and turn it smoothly and steadily a full 360 degrees (or a little bit more) until the rear Spark arms start flashing green. Note: Don’t be concerned if the Spark gimbal reacts poorly to being face down. Continue to smoothly and steadily turn the Spark. If for any reason you do not complete any of the above steps smoothly and evenly, restart the process. A good compass calibration is important to ensure a safe, controlled flight. Follow the tips in this guide to determine when and how to calibrate the compass on your DJI Mavic. 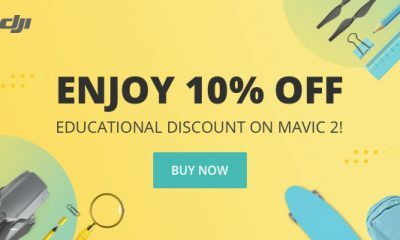 Why should the Mavic compass be calibrated? The Mavic can only detect when the compass is providing extremely poor (implausible) data. This typically occurs if you place it near a strong magnetic field. It will flash red and yellow lights and the Mavic will indicate a compass error in the app. You can view the current compass interference in the “Main Controller Settings” –> “Advanced Settings” –> “Sensors” section of DJI GO. The colored bars should be in the green (Excellent) range when the Mavic is in a location that is away from magnetic influences. If the bars are in the red (Poor) range or close to it, move the Mavic to a different location and check again. If the compass interference is still in the red (Poor) range or close to it, the compass could need calibrated or it could be magnetized/damaged. When should the Mavic compass be calibrated? The Mavic is near concrete, buildings, and/or hidden or overhead power lines/pipes/etc. Remove all metal from your person that could potentially be held near the Mavic while you’re calibrating (e.g. watch or rings). Power up your Mavic and any attached accessories (e.g. GPS tracker). Wait until your Mavic is ready to fly. Confirm the rear Mavic arm lights are solid yellow. Pick up the Mavic and turn it smoothly and steadily a full 360 degrees (or a little bit more) until the rear Mavic arm lights turn solid green. Note: While it’s okay to turn the Mavic in your hands, it’s easier to hold the Mavic steady and turn your body in a circle like this. Point the front of the Mavic straight down and turn it smoothly and steadily a full 360 degrees (or a little bit more) until the rear Mavic arms start flashing green. Note: Don’t be concerned if the Mavic gimbal reacts poorly to being face down. Continue to smoothly and steadily turn the Mavic. If for any reason you do not complete any of the above steps smoothly and evenly, restart the process. 1) Find a takeoff spot that you know is not near any magnetic metal objects (e.g. rebar in concrete sidewalks). 2) Make sure your drone is never near magnetic metal objects after it has been powered on. It’s best to power on your drone in the exact location where you plan to take off. 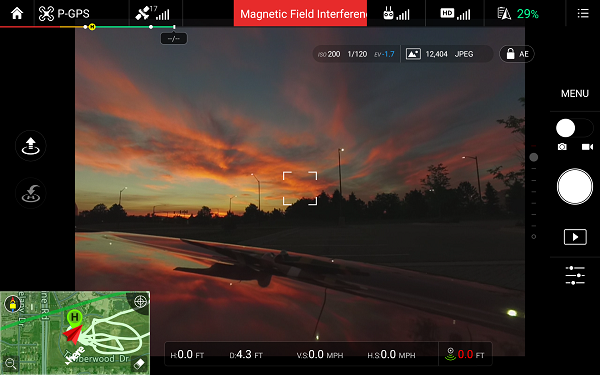 3) Check the status message at the top of DJI GO and make sure it’s not reporting a magnetic interference error (like in the screenshot below). If you see this error, that’s a sign that your drone is near some type of magnetic metal object. 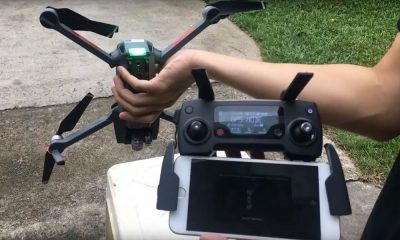 Move your drone to a different location. 4) When your drone is on the ground at the takeoff spot, look at the map in DJI GO and verify that the red aircraft symbol is pointing in the same direction as the drone. If the drone and arrow are not both pointing in the same direction, that’s a sign that your drone is near some type of magnetic metal object. 5) Make sure the red aircraft symbol in DJI GO is not slowly rotating as your drone is sitting on the ground. If the red aircraft symbol is rotating, that’s a sign that your drone is near some type of magnetic metal object. 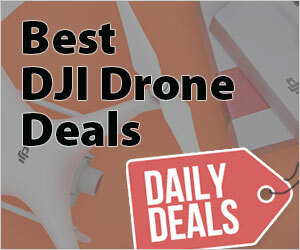 What’s the best memory card for your DJI drone? Are you going to be shooting video in 1080P or 4K? Will you be shooting photos in modes that take multiple photos like when using the Multiple, AEB (Auto Exposure Bracketing), or HDR (High-Dynamic Range) photo modes? Are you going to be capturing footage in locations where you could possibly lose your drone? Are you going to have an opportunity to transfer the photos and videos from your memory card(s) after you’re done flying? Is it important to be able to copy the photos and videos from the memory card quickly after flying? We’ll dive into why these points matter in more detail below. The size of the memory card is shown in gigabytes (GB). This is the total storage capacity of the memory card. 32GB or 64GB memory cards are large enough for most people’s needs. If you’re going to be swapping out the memory card after each flight, you could even get away with using a 16GB memory card. While 128GB memory cards work in most DJI drones, memory cards of this size are usually far larger than what could ever be used. 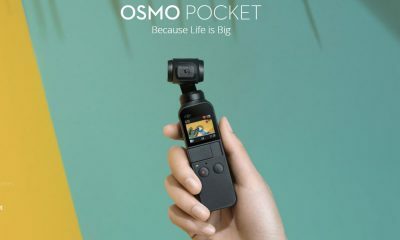 However, they could be useful in scenarios where you won’t have an opportunity to remove the photos and videos from the memory card after flying each time (like when on vacation). 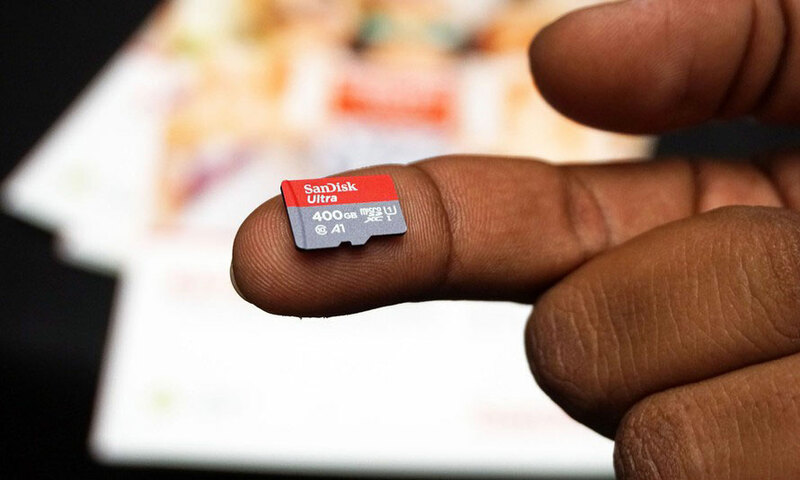 Note: If you’re doing commercial work or are shooting footage that you would not be able to recapture again at a later time, you should consider swapping out your memory card each time you land. That will allow you to minimize your loss if the memory card somehow becomes corrupt between flights or you lose your drone mid-flight. The speed class symbols show the minimum write speed for the memory card. The speed class will be shown as a “C” symbol with a number inside (known as the “Speed Class”) or a “U” symbol with a number inside (known as the “UHS Speed Class”). Memory cards that have a speed class of 10 (a “C” with a “10” inside) or a UHS speed class of 1 (a “U” with a “1” inside) are able to write data to the memory card at a speed of at least 10 MB/s. This speed class is a good choice if you’re never going to shoot video in 4K or use any of the photo modes that automatically snap photos back-to-back (like the Multiple, AEB, or HDR photo modes).Memory cards that have a UHS speed class of 3 (a “U” with a “3” inside) are able to write data to the memory card at a speed of at least 30 MB/s. This speed class is a good choice for shooting video in 4K. Note: DJI’s current line of consumer drones are only able to write data to the memory card at a maximum speed of 100 Mbps (or 12.5 MB/s). 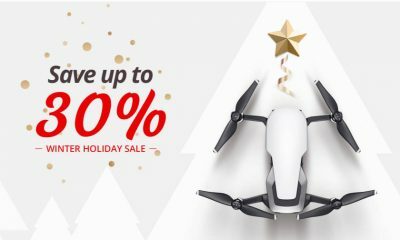 So, you don’t need to spend extra money on buying the fastest memory card on the market for the purposes of taking photos and recording video with your drone. 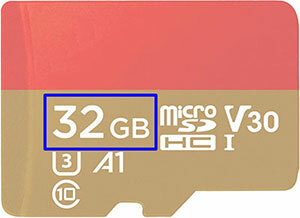 Some memory cards will also display the video speed class (a “V” symbol with a number beside it). This symbol can also be used to find the minimum write speed for the memory card. The number designates the write speed in MB/s. For example, “V30” means the memory card writes at a minimum speed of 30 MB/s and “V90” means the memory card writes at a minimum speed of 90 MB/s. It basically offers an easier way to find the minimum write speed. 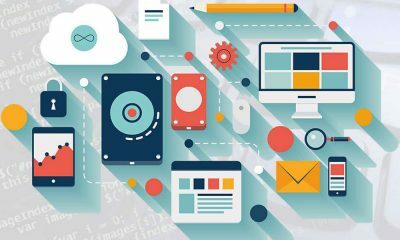 The read speed determines how quickly data can be copied from the memory card. In general, memory cards with faster write speeds also have faster read speeds. The read speed cannot be found by reading the symbols on the memory card. You’ll either need to review the manufacturer’s specs or look for speed test results from people who have tested the memory card. Note: Having a memory card with a fast read speed is not important for the purpose of taking photos and recording video with the drone. However, it will be helpful if you’re going to watch video footage and/or review photos straight from the memory card or want to be able to reduce the amount of time it takes to copy/move the photos and videos from the memory card when you’re done flying. Which memory card brand is the best? Kingston, Lexar, PNY, Samsung, SanDisk, and Transcend are all trusted brands that are known to work well. To be sure you’re not buying counterfeit memory cards, make sure you buy from a reputable source like Amazon, a local electronics store (e.g. Best Buy), or other well known companies that sell electronics. Note: Memory card manufacturer’s often offer similar memory cards with different names. For example, Samsung currently sells “EVO”, “EVO Select” and “EVO Plus” memory cards. Some of the names are used to give retailers exclusive rights to sell a specific memory card model. Others are likely for marketing purposes. When choosing a memory card, ignore the names and choose based on the capability of the memory card (using the symbols as described above). Which memory card is the best price-wise? The same memory cards are offered by various sellers at a wide range of prices. And those prices are always changing since there are so many people reselling them. You’ll likely find the best prices in online marketplaces that have high competition (like on Amazon). The slower Class 10 memory cards or memory cards with smaller storage capacities are not always the best deal price-wise. For example, there are currently 64GB U3 memory cards that are less expensive than 32GB Class 10 memory cards. So, you might want to also consider purchasing a better memory card if it can be purchased for the same price as the memory card you need right now. Down the road, the better memory card could be used in a newer drone that requires a faster memory card or more storage space. You can find more deals on U1 Micro SD cards here on Amazon. You can find more deals on U3 Micro SD cards here on Amazon. Subscribe below and you'll receive an email when new articles are posted so you don't miss them.